For decades, AIG Travel, part of American International Group, Inc., has provided travel insurance options for many travelers. Marketed under Travel Guard, the company offers travel insurance solutions and travel-related services, including medical and security services, marketed to both leisure and business travelers around the globe. If you have purchased a trip insurance plan in the past, it may have been provided by AIG Travel without you even knowing it: the company also creates custom policies for several smaller insurance brokers, airlines and even travel groups. Is AIG Travel the right company for your trip? AIG Travel is a member of American International Group, Inc., a global insurance company that provides everything ranging from property casualty insurance, life insurance, retirement products, and other financial services. Travel Guard is the marketing name that AIG Travel uses to advertise its portfolio of products. Today, the company is headquartered in Stevens Point, Wisc., and serves travelers in 80 countries and jurisdictions through eight wholly-owned global service centers in key regions, including Houston, Texas; Stevens Point, Wisc. ; Kuala Lumpur, Malaysia; Mexico City, Mexico; Sofia, Bulgaria; Okinawa, Japan; Shoreham, England; and Guangzhou, China. How Is AIG Travel Rated? AIG Travel policies are underwritten by National Union Fire Insurance Company of Pittsburgh, Pa., another subsidiary of AIG. As of June 2018, the policy writer has an A.M. Best A rating, putting them in the “Excellent” credit category with a stable outlook. For customer service, AIG Travel is highly rated on three major travel insurance marketplaces online. With more than 400 reviews, AIG Travel has a five-star rating from TravelInsurance.com, with a 98 percent recommendation rate. Customers of InsureMyTrip.com give the company 4.56 stars (out of five). Although Squaremouth.com no longer offers AIG Travel policies anymore, previous customers gave the company 4.46 stars (out of five), with less than one percent negative reviews. What Travel Insurance Does AIG Travel Offer? AIG Travel offers four plans for consumers, based on their needs and travel plans: Basic, Silver, Gold, and Platinum. Although the Basic plan is not available direct through AIG Travel, it can be purchased through marketplaces like TravelInsurance.com. All travel insurance plans include travel medical assistance, worldwide travel assistance, LiveTravel® Emergency Assistance, and personal security assistance, but only take effect when travelers are at least 100 miles away from home. Please note: All schedules of benefits are subject to change. For the most up-to-date coverage information, contact AIG Travel. Travel Guard Basic: Travel Guard Basic is the lowest level of coverage available through AIG Travel Guard, with the smallest benefits for trip cancellation, trip interruption, and trip delay. The basic plan offers 100 percent coverage of trip cancellation or trip interruption events (up to $100,000), but has very low coverage ceilings for return airfare due to trip interruption ($500 maximum), trip delay (maximum of $100 per day, up to $500), baggage loss ($500 before a $50 deductible) and baggage delay ($100 maximum). The basic plan includes an optional rental car damage policy for an additional price but does not include options for a pre-existing medical condition exclusion waiver or accidental death and dismemberment. Read the schedule of benefits here. Travel Guard Silver: Travel Guard Silver is the lowest level of coverage available directly through AIG Travel Guard. Described as “savvy coverage that helps give you peace of mind on a budget,” Travel Guard Silver offers more generous benefits for baggage delay and baggage loss ($750; $50 deductible) and accident sickness medical expenses ($15,000; $50 deductible). This plan also offers optional coverage for pre-existing medical condition exclusion waivers, trip cancellation or interruption due to financial default and additional flight coverage. Typically, travelers who elect to purchase Travel Guard Silver over Travel Guard basic can expect to pay around 2.5% more. Read the schedule of benefits here. Travel Guard Gold: The most popular plan offered by AIG Travel Guard, Travel Guard Gold balances insurance costs with benefits. The Gold plan offers more money for trip interruption (150 percent, up to $150,000 maximum), return airfare due to trip interruption (the greater of $750 or 150 percent of the trip cost) and trip delay coverage ($150 per day maximum, up to $750 total). This plan also introduces several additional benefits, including baggage and travel document loss (up to $1,000), baggage delay ($300) and missed connection coverage (up to $250). When purchasing within 15 days of the initial trip payment, travelers may also be covered for pre-existing condition waivers, trip cancellation or interruption due to financial default and primary coverage for accident sickness medical expenses. Optional coverage levels include Cancel for Any Reason insurance (up to 50 percent of insured trip costs), car rental collision coverage and upgrades for medical expense and emergency evacuation coverage. Before any optional coverage, expect to pay 20 percent more for Travel Guard Gold compared to Travel Guard Silver. Read the schedule of benefits here. Travel Guard Platinum: Travel Guard Platinum is the highest level of coverage offered by AIG Travel Guard, with the biggest benefit levels. In addition to trip cancellation and trip interruption benefits, travelers can receive up to $1,000 for return air travel due to trip interruption, trip delay benefits of up to $200 per day ($1,000 maximum) and up to $500 in missed connection benefits. Like Travel Guard Gold, travelers who purchase their policy within 15 days of their initial trip payment may also receive the pre-existing medical condition exclusion waiver, trip cancellation or interruption coverage due to financial default, primary accident sickness medical expense coverage and primary baggage and personal effects coverage. Optional policy add-ons include Cancel for Any Reason (up to 50 percent of insured trip costs), car rental collision coverage, and medical coverage upgrades. Because Travel Guard Platinum is the highest level of coverage available, it is also the most expensive: travelers should expect to pay between 50 and 60 percent more than Travel Guard Gold before any additional add-on coverage. Read the schedule of benefits here. What Won't AIG Travel Cover? Self-inflicted injuries: If you are in crisis while traveling, there are ways to get help anywhere around the world. Note that mental health care may not be covered by your travel insurance plan. Pregnancy or childbirth: If you are planning a trip and become pregnant, discuss your trip with your doctor first before booking tickets. In many situations, pregnancy or childbirth are not covered under AIG Travel plans. Dangerous activities: Planning on mountaineering, going motor racing, or participating in a professional-level athletic event? All of these situations are not covered under AIG Travel plans. Participating in a civil disorder, riot, or insurrection: Although there are many great causes worth protesting, taking it to another country is not advisable. Instead, consider taking a voluntourism trip to another country instead. Baggage loss for items seized by governments or customs officials: Before you return home, be sure to understand what may (or may not) be allowed in your home country. If you believe your items were stolen by customs or Transportation Security Administration officials, there is a separate protocol for reporting those loses. Baggage loss for eyeglasses, sunglasses, or hearing aids: As a general rule, travelers should always carry extra eyeglasses and medications in their carry-on luggage. Loss or replacement of prescription vision wear is not covered by AIG Travel. This is just an abbreviated list of situations that may not be covered under AIG Travel trip insurance plans. For a full list, refer to the schedule of benefits of each plan, which are linked in the above content. How Do I File a Claim With AIG Travel? Travelers who purchased an AIG Travel plan in the United States can start their claims online. After starting an account online, travelers can file claims for the most common situations, including trip cancellation, baggage loss, and trip delay. Policyholders can also find documentation requirements online, as well as receive updates online. Those who have questions about their policies or claims can call AIG Travel direct at +1-866-478-8222. The online claims tool is only available for American travelers who purchased their travel insurance plans in the United States. All other travelers should contact AIG Travel directly via their provided telephone number to start the claims process. Who Is AIG Travel Best For? At the Basic and Silver levels, AIG Travel is a very basic-level travel insurance plan that may cover those who do not already have trip coverage through a credit card or otherwise have access to a trip insurance plan. Before considering either of these AIG Travel plans, be sure to check that you don't already have coverage through the credit card used to pay for your trip. If you are planning a major international trip, or are going on a big trip aboard a cruise line, AIG Travel Gold and Platinum may offer better coverage than a credit card. With large benefit levels and coverage already built in for pre-existing conditions when purchased within the first 15 days of an initial travel payment, Gold and Platinum can be a better bet for those who are spending money on a big vacation and want to make sure their trip runs smoothly. 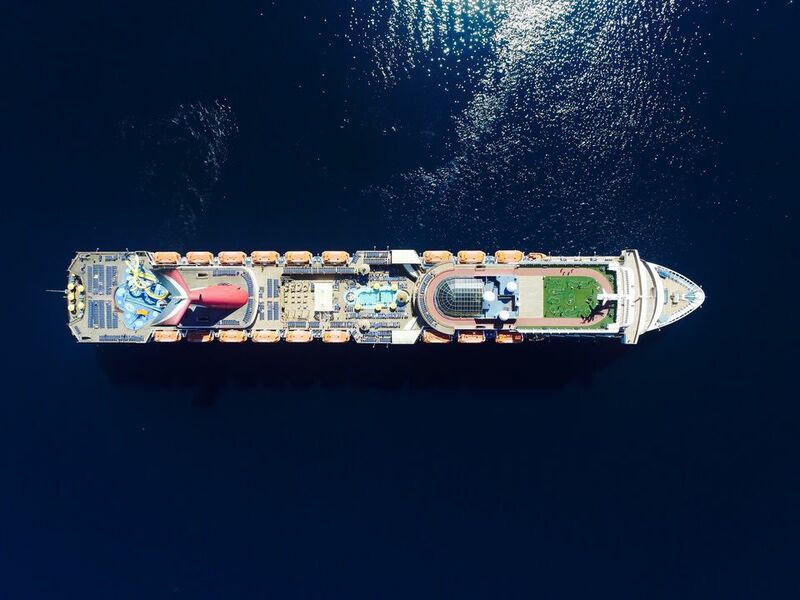 Overall, AIG Travel plans are among the best available today—and should definitely be considered if you are going far from home or aboard a cruise ship for a significant period of time.